At the start of any SEO campaign worth its weight, you will find yourself talking about SEO Keyword Research. 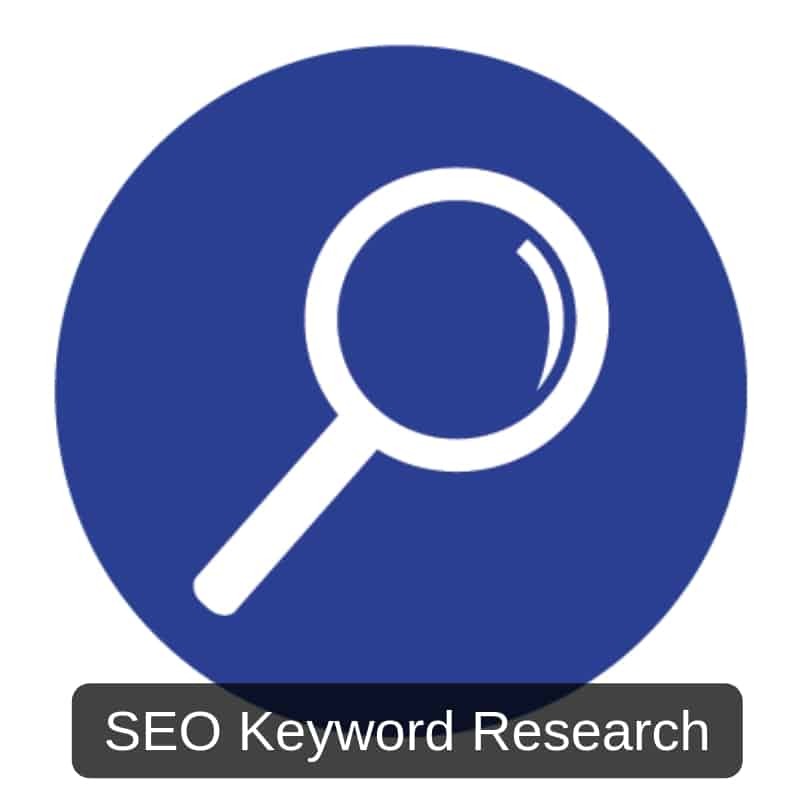 For those that don’t have much SEO experience keyword research is simply the task of deciding what keywords and search terms will be beneficial for you to pursue with your SEO efforts. Depending on the type of business you have and how many keywords and search terms you want to focus on the strategy could be very different, so to say this is an important phase of the SEO process is an understatement. Without a quality keyword research effort, it could be argued that you are wasting your time. Whether it is you or an SEO agency completing this task, it will be the baseline for a successful campaign. As an SEO Company and Digital Marketing Agency, we use a ton of different tools, some paid and some free. If you are just getting your feet wet with SEO using a free tool like Google Keyword Planner is a great place to start gathering some data. There are also some great paid tools that will offer a lot more data, that is arguably more accurate. One of our favorite paid tools is Long Tail Pro. This tool gives a bit more robust data and in our opinion better suggestions of keywords and search terms to go after for our clients. There are a multitude of options for keyword research, but for this article, we just wanted to supply one free and one quality paid option that you may look into for your efforts. What Data Points are Important? Search Volume - this is probably the most obvious data point that people will talk about. How much monthly search volume is there for the keywords that you are approaching? If there is next to no search volume it is probably not worth the effort. Not all keywords and search terms are created equally, so even if one keyword has lower search volume than another keyword it still may be worth pursuing depending on your goals with SEO. Competition - this is VERY important. Some of the highest search volume keywords on the web are extremely competitive and will be much harder to get results. Some tools will give a “competition score” and this is a metric you should be highly cognizant of. Even as an agency that lives and breathes SEO, the super competitive keywords can be tough to rank for, so if you are just getting started, we recommend keeping it too low competition keywords. CPC (Cost Per Click) - it is generally a good idea to bid on the same core keywords that you are approaching organically on the Google Ads platform, so most tools will give you some estimate of CPC if you were to advertise for those search terms. This is important for budgeting and working an SEO and PPC (Pay Per Click) campaign in tandem. Additionally, as a general rule, if you notice that certain keywords have a much higher CPC, you can assume they are much more competitive than others. Long Tail Variations - while we all want to rank for the “best” keyword in our industry, long tailed variations can be very beneficial as well. For instance, if you were a plumber in San Diego you may want to rank for that exact search term, which is of course, great! However, those search terms can be super competitive depending on geography and industry, so you may look for what are called long-tailed variations of that search term that have a bit less search volume, but are also much less competitive. An example would be “best plumber in San Diego” or “reliable plumber in San Diego”. This is something worth exploring in your keyword research because many long-tailed variations glued together can be even more powerful than the “best” keyword. Content - Every keyword that you decide to go after will require a certain amount of content, so as a general rule it is a good idea to see what content you already have that may be adaptable for your chosen keywords. For those that you have no content for, put together a content marketing schedule and get to work! Reliability of Data - while keyword research is important you will see if using multiple tools that the data varies widely from one to the next. This is why it is generally a good idea to run it through a few different tools if possible to make sure you are selecting the keywords that make the most sense for your specific need. SEO keyword research is crucial for a campaign that will produce. Whether you decide to use free tools or paid tools, use the parameters outlined above to help you navigate what can seem like an overwhelming amount of data and put a plan together. The time spent doing this will save you time down the road. Hope it helps!